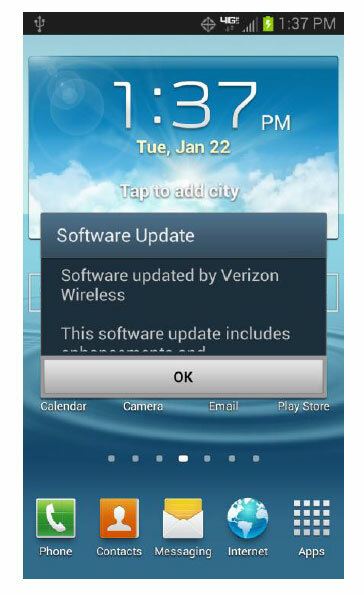 Verizon Samsung Galaxy S3 getting new update. Weighing in at 150MB and pegged as build version VRBMB1, the tweaked edition of Android 4.1.2 comes with predictive keyboard improvements, improved Bluetooth performance, and the ability to use the phone’s camera while on a call. You will be notified that a system update is available on your device. Tap OK to continue. Your device will power off then power on and the installation will begin. Note: If you choose “Defer” this will delay installation and you will be taken back to the home screen. The system update message will appear every 30 minutes until you install the update. After you’ve received first notification of the system update, you can manually initiate by going to “Home” > “Applications” > “Settings” > “About Phone” > “System updates”. Press “Restart & install”. Your device will power off and back on and the installation process will begin. The update has begun once your device powers off and back on and you see the following screen. If you are roaming you will not receive a system update notice. To update your device while you are roaming, you will need to be in an area where Wi-Fi is available. Begin by enabling Wi-Fi on your device. Touch “Wi-Fi” to view and select a Wi-Fi network. 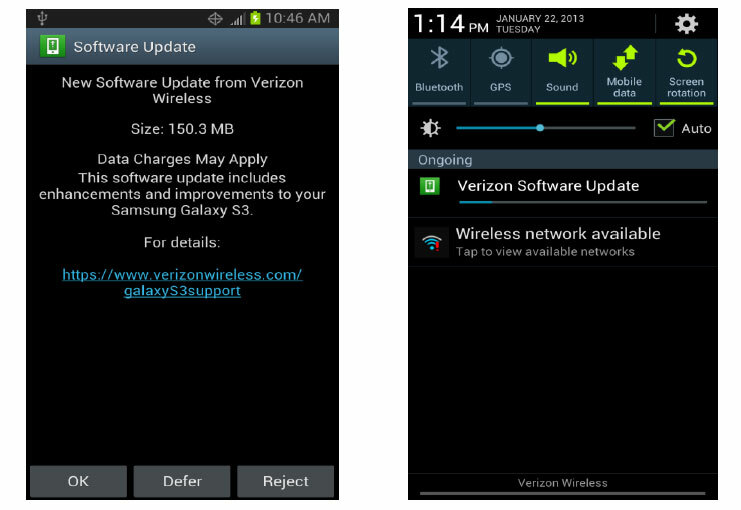 Once you are connected, an update notification will appear on your device. If the system update fails to install, you will get an error screen. However, this only means the software did not install properly. Remove and re-insert the battery and power the device back on. The device will power back on with original software and will prompt you once again to install the system update.